Dr Panayiotis Kerimis completed his medical studies in Bristol (UK). After successfully completing his specialist orthopaedic training, he was appointed Orthopaedic Surgeon and Traumatologist in Germany, and subsequently worked as a Consultant Orthopaedic Surgeon at Marienklinikum in Arnsberg (Germany). 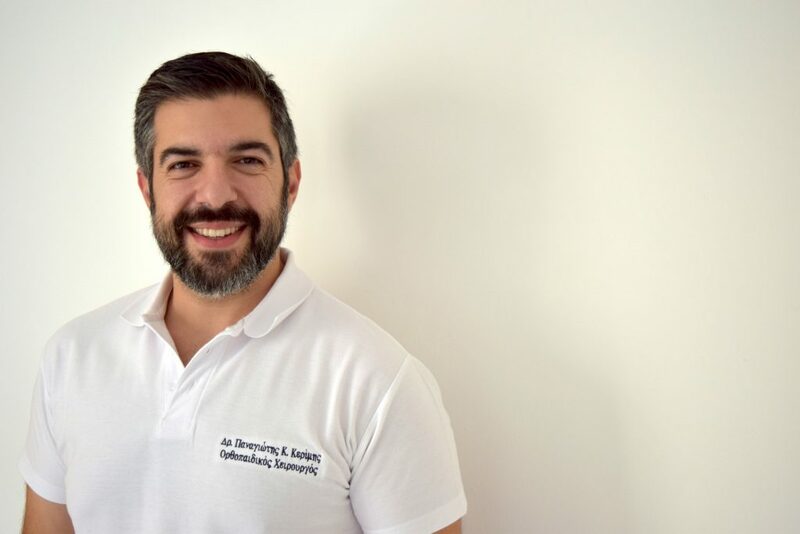 Following his return to Cyprus in October 2017, he set up his outpatient clinic in his private practice and works in collaboration with Hippokrateion Private Hospital. Special emphasis is in arthroscopic surgery of the knee and shoulder joints, replacement (arthroplasty) of the hip, knee and shoulder joints and the new technique of dynamic stabilisation of the freshly ruptured anterior cruciate ligament without replacement (Ligamys®). His passion is to deliver a service, which provides rapid assessment, diagnosis and treatment, which is individually tailored to the patient’s needs. Dr Kerimis speaks fluent Greek, English and German.